* AIS receiver and NMEA 2000 interface units are options, depending on version. 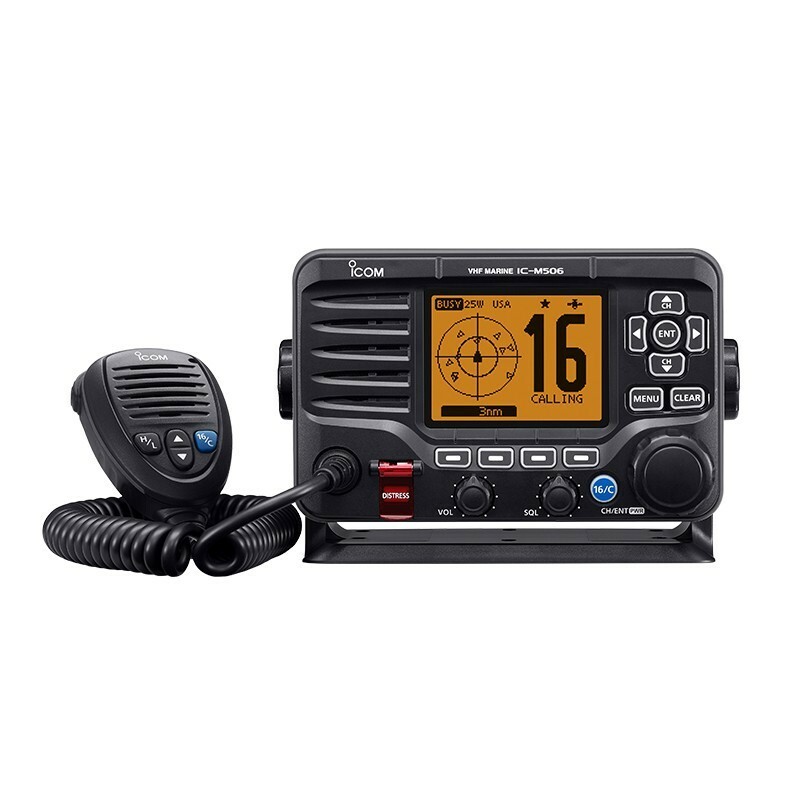 With the plug-and-play functionality of NMEA 2000, the IC-M506 can easily connect to a NMEA 2000 network. 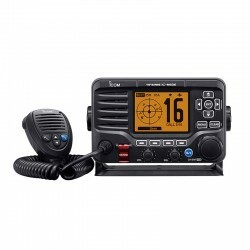 The IC-M506 can receive and transmit GPS (position, course (COG) and speed (SOG)), AIS report and DSC call information data and transmit radio frequency and PGN list data on the network. Using this function, the IC-M506 can convert NMEA 0183 GPS data to NMEA 2000 data for other equipment. Functions menu The intuitive software key functions provide easy and fast operation to control the multiple functions of the IC-M506. The bottom line of the dot-matrix display shows the software key functions which can be toggled with the left and right buttons. The IC-M506 and supplied HM-205B/RB microphone can withstand 1m (3.2ft) depth of water for 60 minutes. Also meets equicalent MIL-STD-810-C, -D, -E and -G.